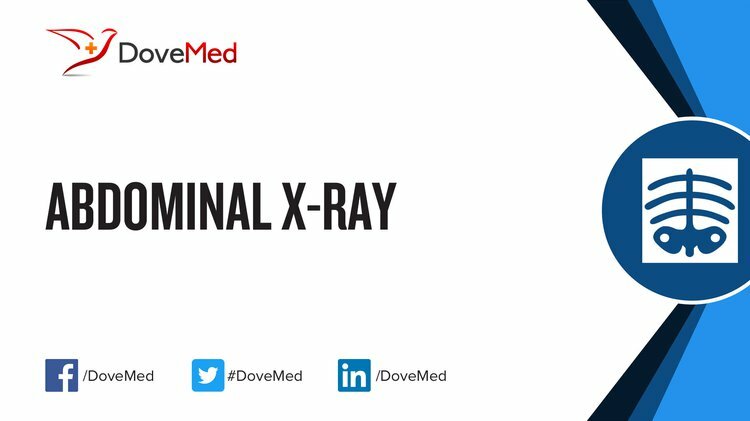 An Abdominal X-ray is a non-invasive image procedure that uses ionizing radiation to generate images of the stomach and abdomen (and other body parts). An Abdominal X-ray radiology procedure involves the stomach, liver, intestines, spleen, kidneys, ureter, and urinary bladder. Why is the Abdominal X-ray radiology procedure Performed? A CT scan of the abdomen is a possible alternative to an Abdominal X-ray radiology procedure. A portable unit with large arm that can be maneuvered to capture the image. There are no recent advances to an Abdominal X-Ray radiology procedure. The cost of an Abdominal X-ray procedure depends on a variety of factors, such as the type of your health insurance, annual deductibles, co-pay requirements, out-of-network and in-network of your healthcare providers and healthcare facilities. How does the Abdominal X-ray radiology procedure work? How is the Abdominal X-ray radiology procedure Performed? An Abdominal X-ray radiology procedure is generally preformed as an outpatient procedure at a hospital. The procedure is generally preformed by a radiology technologist under the supervision of a radiologist. The imaging time of the procedure should take less than 15 minutes. A radiologist interprets the results of the Abdominal X-ray radiology procedure. A physician will request your consent for the Abdominal X-ray procedure using an Informed Consent Form. What are the Limitations of the Abdominal X-ray radiology procedure? What is an Abdominal X-ray procedure? What is expected during the Abdominal X-ray radiology procedure? No anesthesia is administered during an Abdominal X-ray radiology procedure. There is no blood loss involved in the Abdominal X-ray radiology procedure. What are the possible Risks and Complications during the Abdominal X-ray radiology procedure? As with any X-ray examination, there is a small risk of developing cancer with repeated exposure. What Post-Operative Care is needed at the Healthcare Facility after the Abdominal X-ray radiology procedure? No additional care is need at the healthcare facility after an Abdominal X-ray radiology procedure. What is to be expected after the Abdominal X-ray radiology procedure? Generally, no complications or side effects are observed after the radiology procedure. An Abdominal X-ray radiology procedure is an uncomplicated procedure and generally carries a minimal risk. What Post-Operative Care is needed at Home after the Abdominal X-ray radiology procedure? No additional care is needed at home after an Abdominal X-Ray radiology procedure. No recovery time is involved following an Abdominal X-ray radiology procedure. An Abdominal X-ray radiology procedure does not involve the removal of any body tissue. Since no tissue is removed during the radiology procedure, a pathologist does not get involved in the care of the patient. Who will you receive a Bill from, after the Abdominal X-ray radiology procedure? The patient is advised to inquire and confirm the type of billing, before the Abdominal X-ray procedure is performed.